Pfizer is trying to reinvent itself by shrinking, according to the New York Times. I can’t say that I’m surprised. The CEOs and financial guys are still living in their own worlds. Pfizer — once the Big in Big Pharma — is making a radical shift, one being watched closely by the rest of the industry. It is getting smaller. Last week the company announced it was selling its infant nutrition business to Nestlé for $11.85 billion, and it is expected to divest its profitable animal health business by next year. At the same time, the company is slashing as much as 30 percent of its research budget as part of a plan to focus on only the most promising areas, like cancer andAlzheimer’s disease. 1.) It’s getting smaller only 2 years after it made itself bigger. Pfizer bought up Wyeth and laid off every single one of my friends and former colleagues in research. It hired back a handful and sent them to Groton, CT. I’ll get to Groton in a minute. 2.) It’s getting rid of valuable assets to concentrate on cancer and Alzheimers. And why those two therapeutic areas, you ask? Allow me to get cynical. Well, more cynical than I already am. These two diseases progress rapidly and the sufferers are almost desperate for a cure, cancer drugs get fast tracked for approval, toxicity profiles are relaxed, you can pretty much charge what the market will bear, and even if the drugs fail the patients rarely complain. So, quick approval and no class action lawsuits. What’s not to love? Looks like you Lupus sufferers and schizophrenics are SOL though. Drug executives are asking themselves: “What is it that we now face, given that in the past decade — when everything was going right — we didn’t build with this future in mind?” said Jeremy Levin, who oversaw a similar reorganization of Bristol-Myers Squibb and is about to take over as chief executive at Teva Pharmaceuticals. At Pfizer, skeptics have questioned the decision to shed some of its most profitable units in favor of doubling down on the risky pharmaceutical business. Pfizer’s nutrition unit grew by 15 percent and animal health by 17 percent in 2011, while its pharmaceutical sales dipped by 1 percent. And Pfizer has suffered some notable flops over the last several years, including the failure of an experimental cholesterol treatment that was seen as a potential successor to Lipitor and poor sales of an inhaled insulin drug that the company eventually abandoned. So, in the past decade, when everything was going right, why did Pfizer decide to eat smaller companies and lay off all the research staff and put companies and projects in a state of limbo while they merged, and how could that *possibly* result in not building with the future in mind? The acquisitions, some said, turned Pfizer into a Frankenstein’s monster — a giant stitched together from the scraps of smaller companies that lurched forward with little purpose. “I think the company sort of lost their way in the years before the Wyeth acquisition,” said Catherine J. Arnold, an analyst for Credit Suisse. Ya think? Hey, how about the next time a merger is in the works, we actually ask the people discovering drugs whether it is a good idea. If you want to discover more drugs, cut research! Everyone is doing it. Let me just suggest to the “smartness” crowd and masters of the shareholder universe that the reason you don’t have any blockbusters is because you treated research like a red-headed stepchild while you were busily merging your little hearts out and collecting bonus checks. “A more efficient mechanism for discovering drugs” now means outsourcing to China all the grunt work while trying to buy licenses for drugs from struggling and desperate former research staff who will sell them for a tiny fraction of what they may be worth. 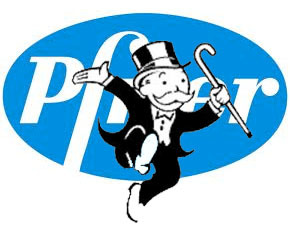 Pfizer plans to reduce its research budget from $9.4 billion in 2010 to $6.5 billion to $7 billion this year. It closed a research center in Britain and has been trimming its facility in Groton, Conn., and moving resources to areas closer to universities in Boston and Cambridge, England. In 2011, the company ended 91 projects, canceling programs aimed at treating bladder infection, for example, as well as one to treat nasal symptoms from allergies. Company executives have also said they will be on the lookout for smaller acquisitions to fill gaps in their portfolio, and will expand partnerships with academic institutions. Mr. Read said the cuts would not affect the areas that the company has prioritized. “Most of what I cut had a low probability of success,” he said. Those projects had an even lower probability of success after tens of thousands of research jobs were cut, the budget was slashed more times than a libidinous teenager in a horror movie and the rest of the staff was made to play a game of musical chairs moving from Princeton and Pearl River to Groton to not Groton but we don’t know where yet to Cambridge. I’ve heard reports that the few former Wyeth staff have been laid off more than once since the merger. Pfizer has to be the poster child of The Strategy of No Strategy. They’ve abandoned some of their hardest, smartest workers, and I know some of these people so I know how good they are, to chase get-rich-quick-schemes from the oh so cleverer people at Harvard and MIT and then get Chinese PhDs at a fraction of the cost to churn out compounds in Shanghai. Pfizer has completely abandoned the idea that it takes 10-15 years to discover and develop a drug, and that continuity of research is crucial. Pfizer first acquired and then ripped apart all of the smaller pharmas under it to become a bloated behemoth of a leviathan that could be consumed by shareholders in wild abandon. It’s left a big gaping hole in the pharmaceutical landscape and so far as I can tell, not one politician has bothered to find out why our drug discovery expertise is disappearing right before our very eyes. Right about now, it is dawning on Wall Street, the CEOs and the investors that they have unleashed Pharmageddon and that they’ve made some big mistakes, not least of which is that the profits that can be shared are slowing down to a mere trickle. Nevermind all the scientists who no longer have careers, what about their bonuses?? I don’t know about bonuses. My former colleagues and I should be worried about our pensions. That big pile of cash is going to look mighty tasty and we are all headed for a seniority of deprivation if we don’t figure out a way to stop them from consuming it all.